New York Senator Mark Grisanti, one of four Republicans who voted for a gay marriage bill on Friday, says his previous opposition to gay marriage was guided by politics. In explaining his reversal to reporters on Monday, the first-term senator admitted that his previous objections were more likely political calculus. Before he cast his vote that helped New York become the sixth – and most populous – state to legalize gay marriage, Grisanti, an attorney, told fellow lawmakers that he couldn't find a legal reason to oppose marriage equality. 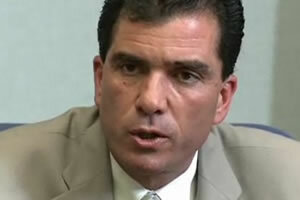 Grisanti also minimized the notion that he misled voters. And he denied that he was considering switching political allegiances again.